Hot Chocolate & Messy Kitchens. | Eat More Plants. My “Dandies” came in the mail today!! Dandies, being vegan marshmallows. Not that I’m a marshmallow fanatic or anything but since summer time equals BBQ’s & bonfires I figured it’d be nice to have a marshmallow I could actually eat. Regular marshmallows contain gelatin (which is boiled beef bones). Another great find this week was this locally made, fair trade organic drinking chocolate. Mmm! So good with steamed almond milk & cinnamon. I made a huge mess, blow torched my marshmallows and decorated my kitchen in chocolate syrup. Sometimes ya gotta get messy. 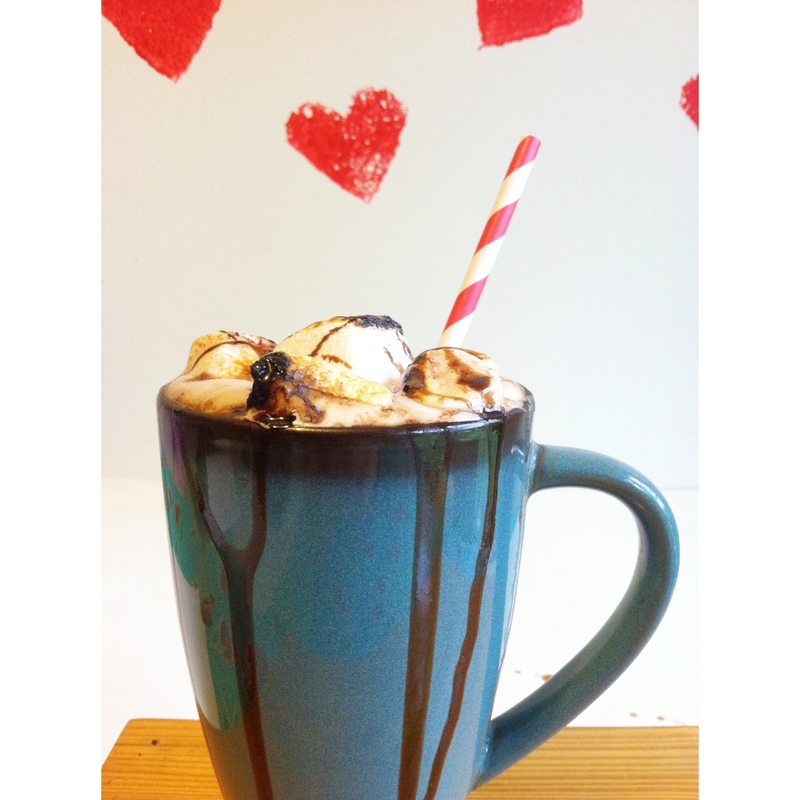 Those hearts on the wall behind my hot chocolate were the result of some sponge painting I did with my daughter. Another messy but fun project!